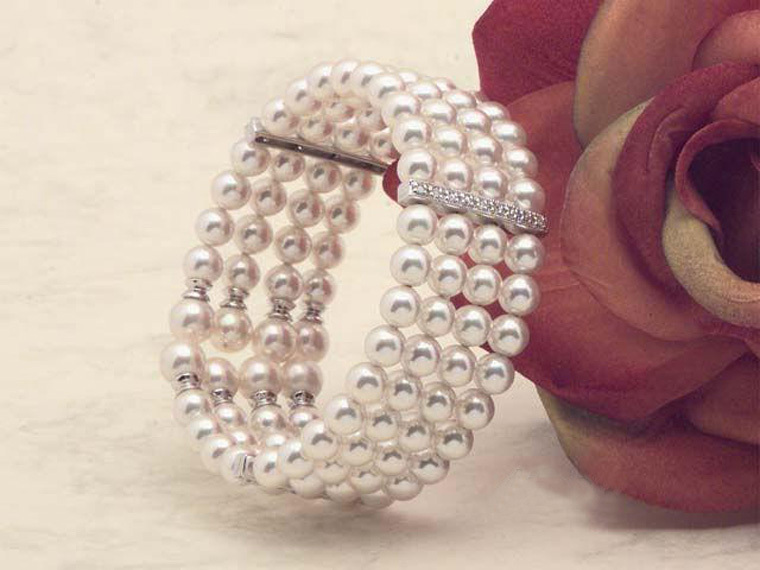 Add Elegance to an unforgettable moment with this spectacular Bracelet in 6 mm Pearls, Zirconia and Sterling Silver, adaptable to fit all sizes. Classic 12 mm. 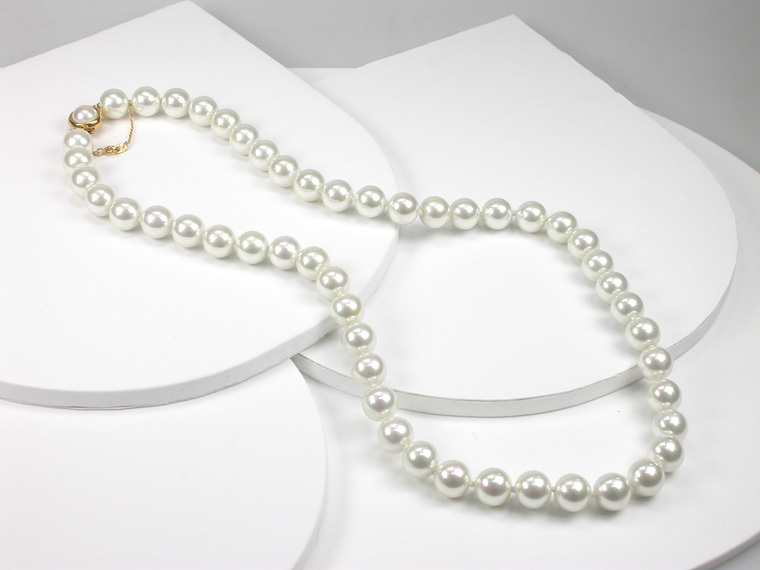 white Pearls Necklace with a clasp in 18 karat goldplated Sterling Silver and length in 70 cm. A pure and classic look - always fashionable! A 75 cm. 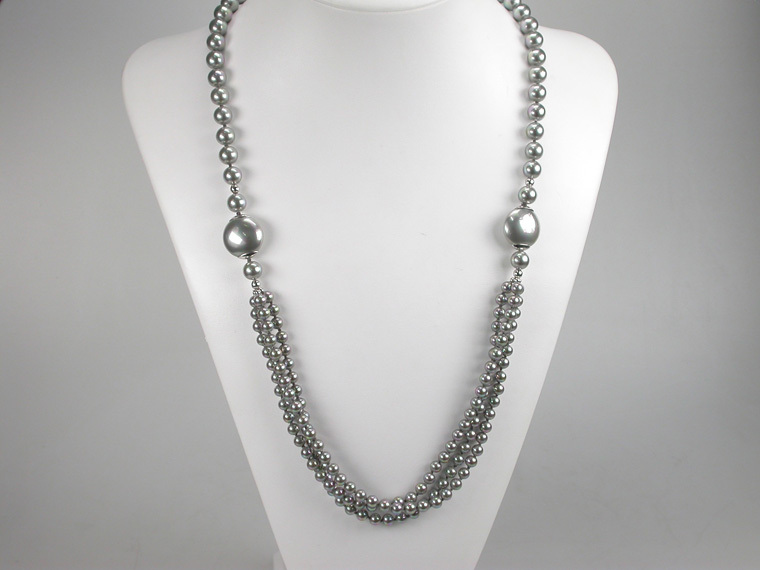 long Classic Necklace in 12 mm. 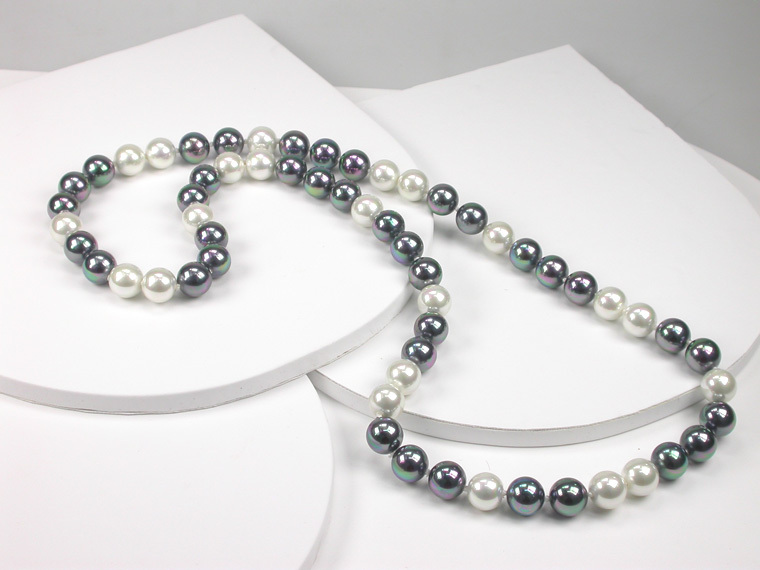 Black&White Pearls. A Classic that will alway be Fashion and the right thing to wear! 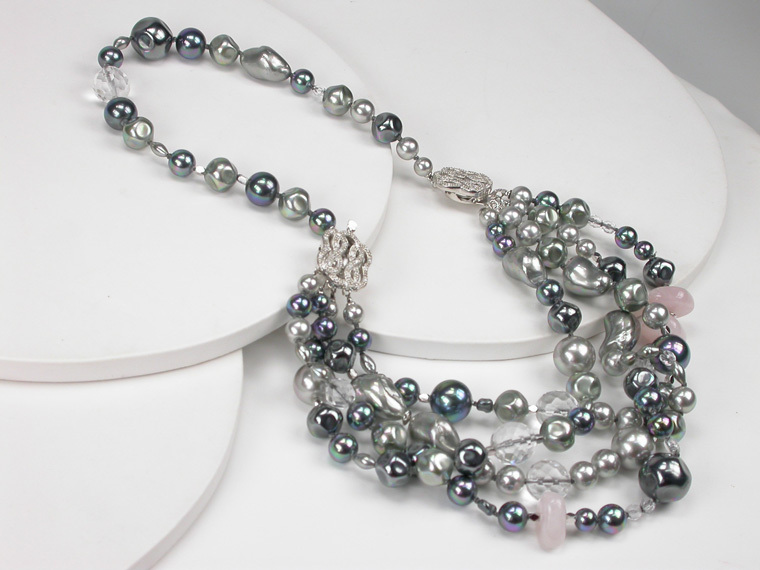 You will catch everyone's attention at any special event with this spectacular Necklace with Pearls, sparkling Crystals and Rose Quartz in different shapes and a beautiful clasp in Sterling Silver exquisitely decorated with zircons. The length of the Necklace is 48 cm. 80 cm. 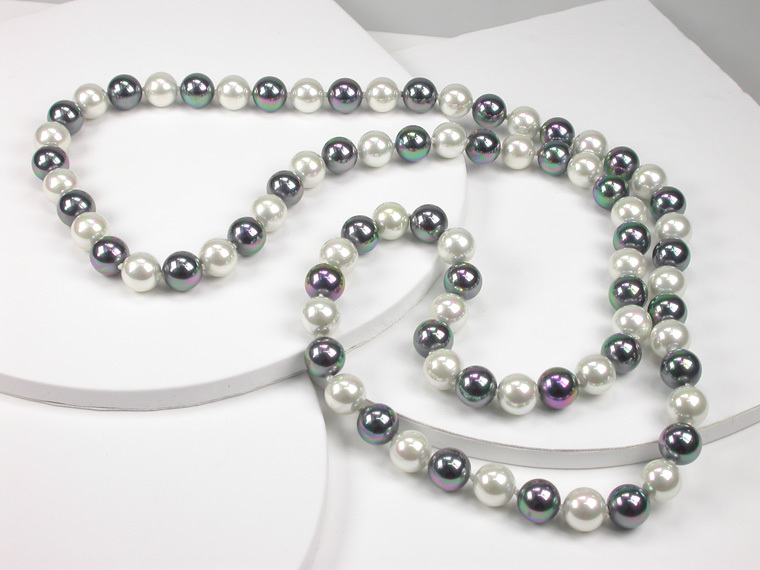 long Necklace in a wonderful combination of multi shaped Pearls in soft colour tones. Without any clasp. 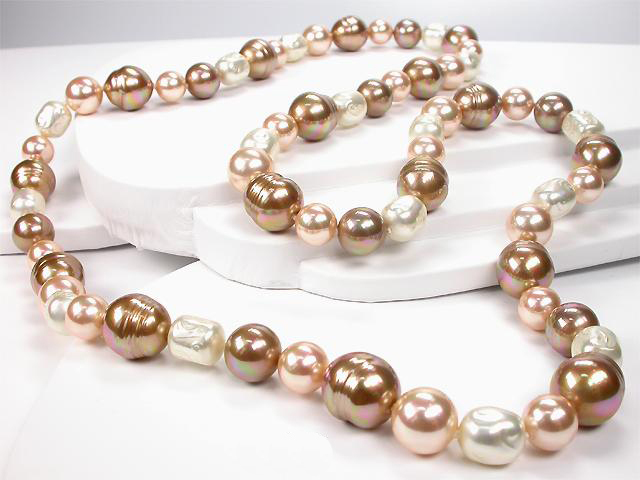 Glamorous 13 mm Baroque Pearl Necklace with a 16 mm Pearl Pendant of extraordinary Beauty. For a pure and seductive Elegance in an unforgettable occasion! The clip in Sterling Silver decorated with sparkling Zirconia permits you to adjust the length to get the perfect match to your dress. Maximum length is 50 cm. This Classic 45 cm. 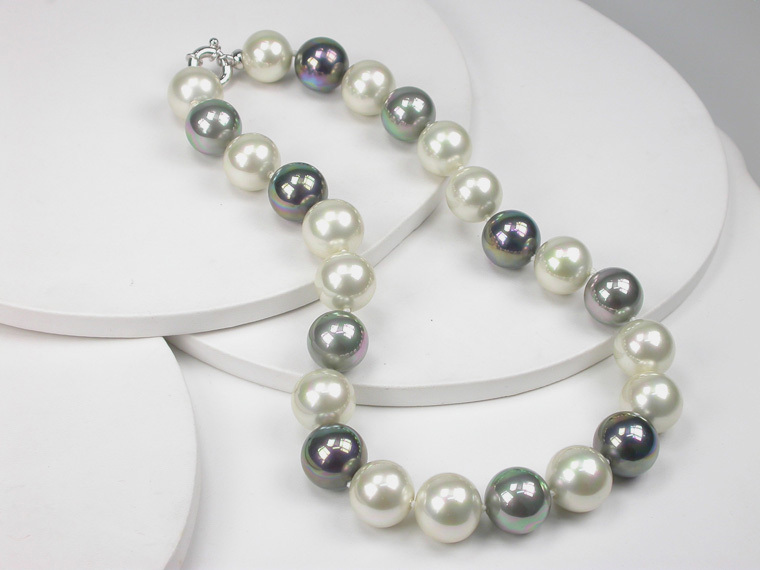 long Pearl Necklace with white, grey and black 16 mm. 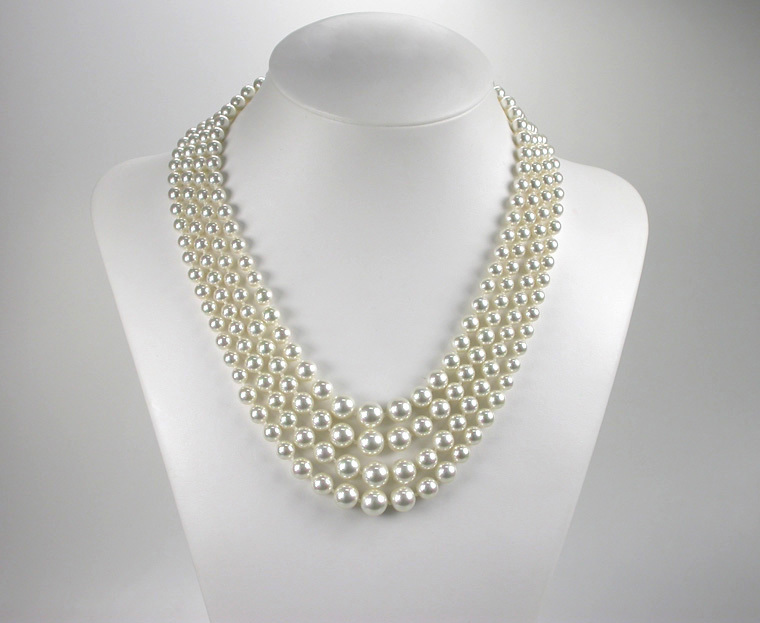 pearls will always be fashionable. 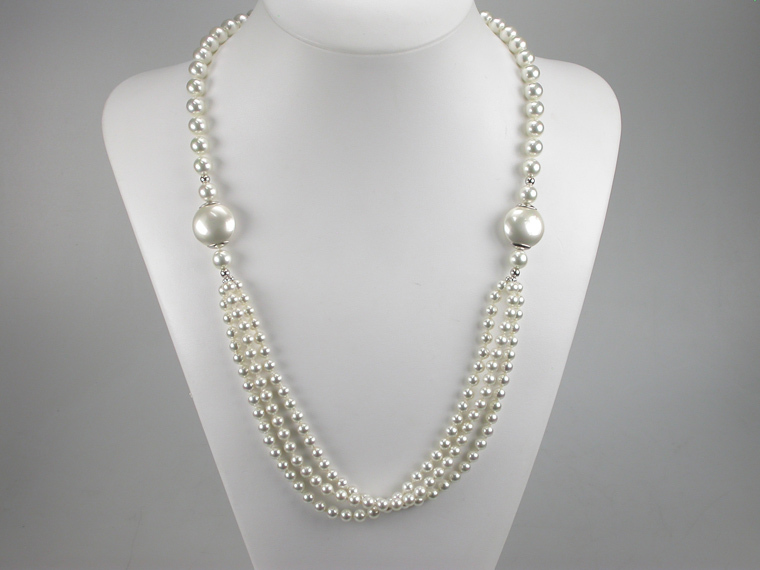 If you want to buy Pearls or if you are looking for a gift for your wedding anniversary, why not this glamorous 16 mm. 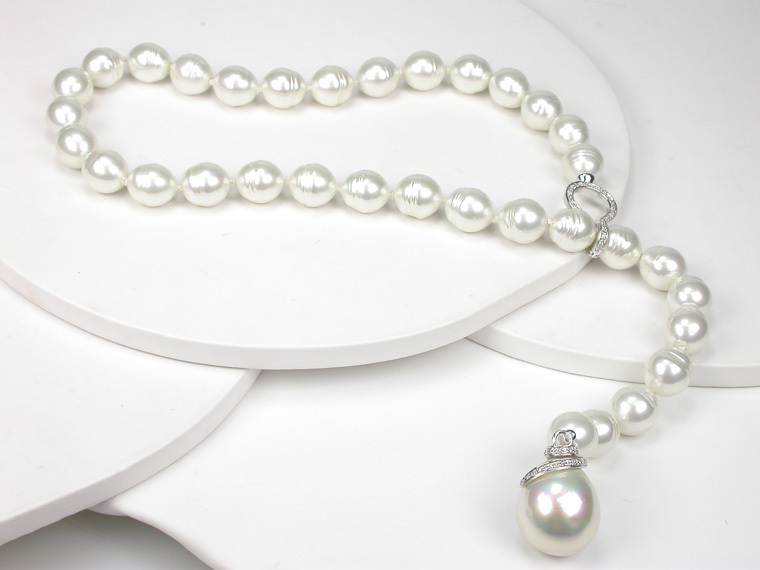 White Baroque Pearl Necklace with a Pearl Pendant of extraordinary Beauty? Perfect for a pure and seductive Elegance in an unforgettable occasion! The clip in Sterling Silver decorated with sparkling Zirconia permits you to adjust the length to get the perfect match to your dress. Maximum length is 55 cm. Classic 100 cm. 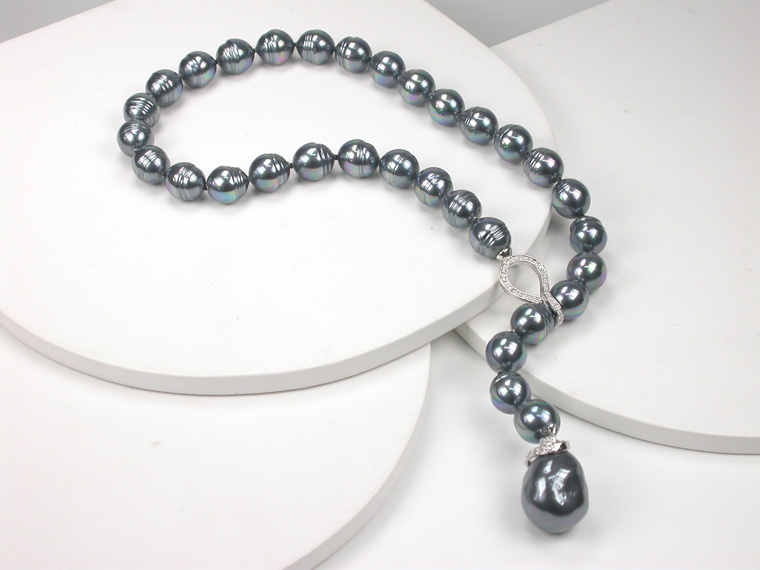 long Necklace combining Black&White 12 mm. Pearls. A classic that will always be Fashion!